The mountain which overlooks Brasov, the Tampa, is a habitat for brown bear, linx, boar, butterflies and a wide variety of birds including the raven, the Ural owl, the black woodpecker, the Eurasian nuthatch and many others. Walking to the top takes about an hour and you have several alternative trails with different difficulty levels to choose from. You can also ascend Mount Tampa by cable car (tickets 16 lei) to an altitude of 940m. From the upper cable car station walk five minutes (not 15 as indicated) along the path behind the Brasov sign to the rocky summit (at 955m) for the best views of the town. 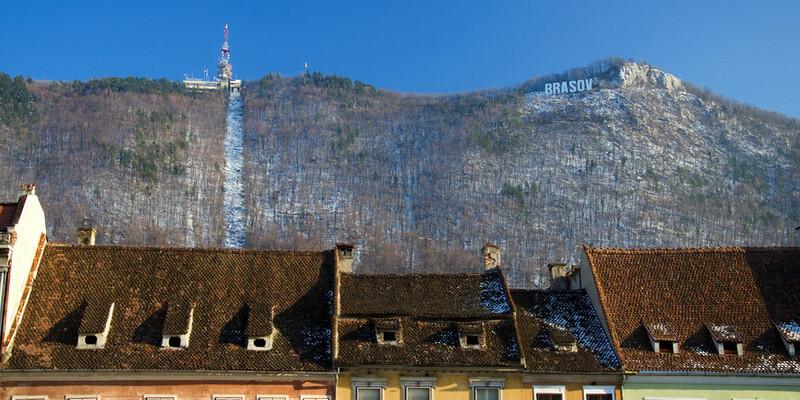 In the 1950's, when Brasov was named Orasul Stalin (Stalin City), trees were chopped down so that the name of the great dictator appeared on the hillside facing the old town. Nature has recovered from the shock, and the hillside is now a nature reservation. From the upper cable car station walk five minutes (not 15 as indicated) along the path to the rocky outcrop (the top, 955m high) for the best views of the old town. 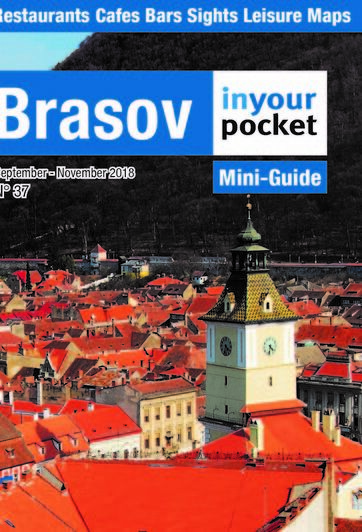 You'll clearly be able to make out the different parts of Brasov: the German part of town has hundreds of red roofs crammed between straight streets surrounding Piata Sfatului, while the Romanian Schei district to the south (left) is a spaghetti of small streets, jumbled houses and cemeteries, petering out towards the hills. On the plain are the later additions to Brasov: the 18th and 19th century expansions and of course the flats and huge factories from the last 50 years. From the summit of the Tampa, it's very tempting to walk across the crests of the hills to Poiana Brasov and Postavarul (1799m). Cable Car Open 09:30 - 16:00. Closed Mon.